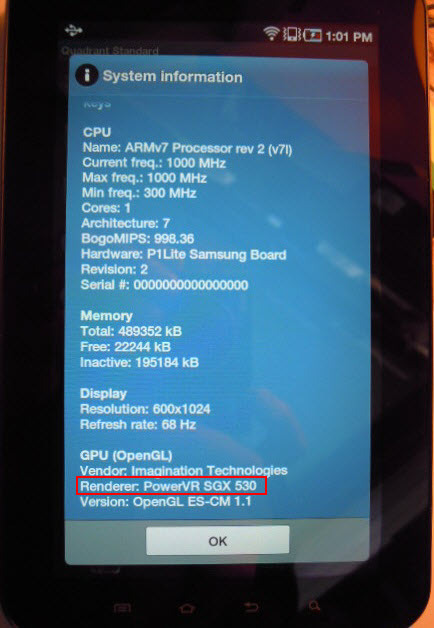 The 3G version of the Samsung Galaxy Tab that has been sold through carriers came packed with a 1GHz Hummingbird processor and a PowerVR SGX540 GPU, giving it plenty of juice to fuel that 7″ screen and provide an above average user experience. The WiFi-only version, maybe not so much and that’s because Sammie pulled the ol’ switcheroo on those same two components we just listed and didn’t bother to tell anyone. That’s right, as you can see in the screenshots of two WiFi-only Tabs above, the GPU is a generation below that of the 3G-version, the PowerVR SGX530. 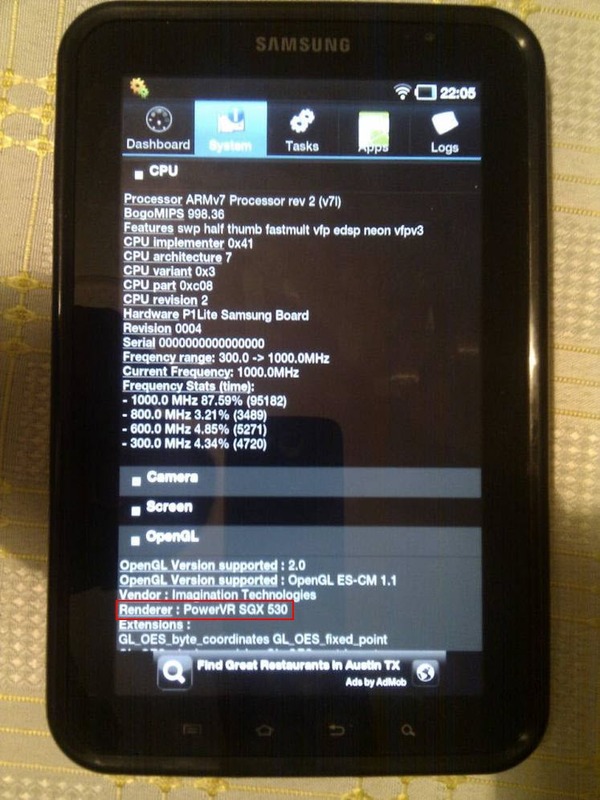 Oh, and the processor that would be powering it is more-than-likely not the Hummingbird, but a 1GHz OMAP 3630. I guess we should also mention that they took the liberty of dumbing down the Bluetooth technology by going with 2.1 rather than the 3.0 that 3G versions enjoy. And this is me shaking my head at you, but that’s nothing new. Wednesday Poll: Current Android App Obsession is?